In a November email, NorthPoint Development confirmed that they are pursuing a PUD, also known as a planned unit development for their Compass Business Park in Elwood, Illinois. 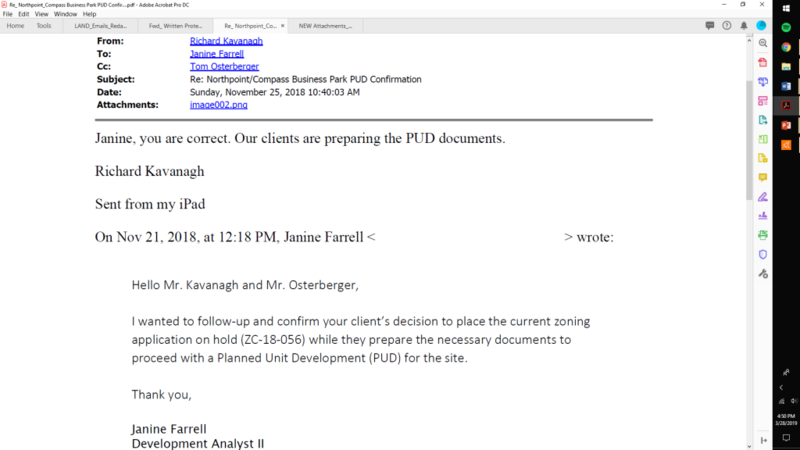 There was speculation for some time that the PUD was the reason for the seemingly stalled application with Will County, but the FOIA result confirms our speculation. Please see the email below. With that said, there is still the pending lawsuit between the Village of Elwood and LB Anderson (aka NorthPoint), which was filed to determine the obligations of the Village.